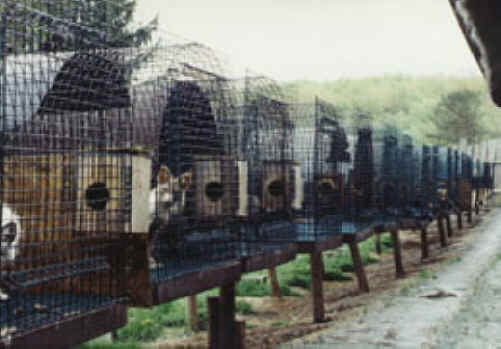 (Fox Exploitation - Fox Fur - 10) Row upon row of caged foxes suffer at this fur farm. 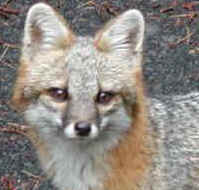 Nothing is being done for the good of the foxes, which proves that the fur trade and those who wear the fur are ungodly; for "goodness" is another of the fruits of the spirit (Galatians 5:22-23). For without "goodness" in their hearts, such people are living in the flesh and will not inherit the kingdom of God (Galatians 5:21).